Vitamin B for Gout Herbalists is my first look at the effects of vitamin B on uric acid and gout. So I include one quick review of a vitamin B uric acid study. Also, I consider other aspects of vitamin B for gout. As I implied in the title, this is aimed mainly at GoutPal Herbalists. But, since vitamin B is available in many foods, this is also interesting to all gout sufferers. So, if you are not sure which type of gout person you are, start reading Questions for Gout Sufferers now. B1, thiamin, from peas, fruit, eggs, whole grains, and liver. B2, riboflavin, from milk, eggs, and rice. B3, niacin, from meat, fish, wheat flour, eggs, and milk. B5, pantothenic acid, from chicken, beef, potatoes, porridge, tomatoes, kidney, eggs, broccoli, and whole grains. B6, pyridoxine, from pork, poultry, fish, bread, whole grains, eggs, vegetables, soya beans, peanuts, milk and potatoes. B7, biotin, from many foods. But at low levels. So we mainly rely on bacteria in our gut to produce biotin. B9, folic acid or folate, from broccoli, brussels sprouts, spinach, asparagus, peas and chickpeas. B12, cobalamin, from meat, salmon, cod, milk, cheese, and eggs. Also, many breakfast cereals are fortified with vitamin B. But, these additives usually include iron. So I usually advise caution with fortified cereals because excess iron is bad for gout. Vitamin B as a dietary supplement is usually sold as a mixture of all 8 different types, which I listed above. 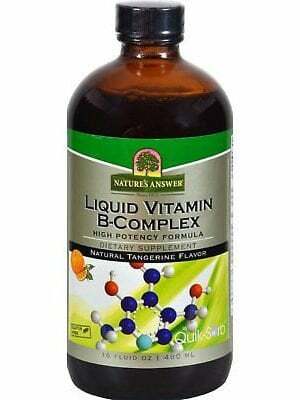 Recently, scientists included vitamin B complex in a uric acid study. Unfortunately, that is a study of rabbits with induced high uric acid. Rather than a study of human gout sufferers. However, the results are still useful, as an indication that vitamin B can lower uric acid. In this experiment, rabbits had induced high uric acid from cadmium poisoning. Then, vitamin B reversed that induced increase almost back to normal. Interestingly, bee honey was slightly more effective in reducing uric acid compared to vitamin B. Also, vitamin C reduced uric acid, but not as much as vitamin B. However, that could be dose-dependent. If you want more personal help, ask in the gout forum. Or get related information by searching for vitamins in the box near the top of the screen. Leave Vitamin B for Gout to browse more GoutPal Herbalist Resources. Abdelaziz, I., M. I. Elhabiby, and A. A. Ashour. “Toxicity of cadmium and protective effect of bee honey, vitamins C and B complex.” Human & experimental toxicology 32, no. 4 (2013): 362-370. Honey, Vitamins, and Uric Acid PDF.